A cheery Thursday to you and your pets. grilling me on all the specifics of the recall. home diets, and go in to details on feeding Raw food. 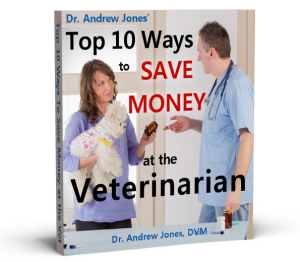 Ask Dr Andrew Jones and ask away. the Pet Food Scandall, and she has given me permission to reprint it. We are talking landfill sites.?? The human food industry dumps its rubbish, which would be dangerous or unpalatable to humans, onto your pets.?? The industry even boasts that it???? ?s a friend to the environment: it saves on waste disposal and pulls in a tidy profit at the same time. In fact, if you look at the early days of the pet food industry, you see that soup companies such as Campbell and Lipton competed with cereal manufacturers like Post and General Foods to add pet foods to their human lines, and dispose of their industrial waste.?? They were soon joined by candy companies (Mars and Nestle), and dairies (Carnation). (2)?? It???? ?s now a multi-billion dollar international big business, proving that ?? ?˜where there???? ?s muck there???? ?s money?????. A few short years ago, five people were imprisoned for selling hundreds of tonnes of pet food as meat fit for human consumption.?? The condemned meat was sold to butchers, supermarkets and restaurants all over the UK.?? The prosecution said the criminals had caused an incalculable risk to human health.?? But what about the animals????? health? Containers of smelly, badly-bruised poultry, covered in faecal matter, flies and feathers, were found by investigating officials.?? The crime was committed by a company whose main customers were international pet food giants Spillers and Pedigree. (3)?? According to PFMA literature,?? ?? ?œMember companies use only materials from animals which have been inspected and passed as fit for human consumption.?????? (4)?? I suspect a shrewd use of language here. Back in 1979, ?? ?œConsumers Digest???? stated:?? ?? ?œThere is mounting evidence that a lifetime of eating commercial pet foods can shorten your pet???? ?s life, make him fatter than he ought to be and contribute to the development of such increasingly common disorders as cystitis and stones (in cats), glaucoma and heart disease (in dogs), diabetes, lead poisoning, rickets and serious vitamin-mineral deficiencies (in both cats and dogs).?????? (5) Yet the pet food industry would have us believe, via their multi-million?? advertising budgets, that pets are living longer, thanks to them. Wendell O Belfield DVM spent seven years as a veterinary meat inspector for the Department of Agriculture and the US Air Force.?? During this time, he was assigned to a number of major slaughterhouses????. ?? ?œCondemned parts and animals that are rejected for human consumption are commonly used in commercial pet foods.?? So-called 4-Ds, meaning dead, dying, diseased or disabled animals are also used for pet foods,???? he testified. (6)?? This former government meat inspector does not recommend pet food. The FDA suggested that pentobarbital probably came from disabled or diseased horses and cows, which are euthanized and rendered and allowed to be used in pet food products.?? The FDA, meanwhile, stated that it didn???? ?t intend to take any further action.?? Dog food makers weren???? ?t forced to notify consumers of the presence of pentobarbital, which is a potent hypnotic and sedative (Schedule 3 poison).?? It is toxic if swallowed and can be absorbed through the skin. On April 30th, 2007, the New York Times stated: ?? ?œLast Friday here in Zhangqiu, a fast-growing industrial city southeast of Beijing, two animal feed producers explained in great detail how they purchase low-grade wheat, corn, soybean or other proteins and then mix in small portions of nitrogen-rich melamine scrap, whose chemical properties help the feed register an inflated protein level. ???œ???? ?People use melamine scrap to boost nitrogen levels for the tests,????? said the manager of the animal feed factory. ?? ?˜If you add it in small quantities, it won???? ?t hurt the animals.????? ?? ?œThe manager, who works at a small animal feed operation here that consists of a handful of storage and mixing areas, said he has mixed melamine scrap into animal feed for years. He said he was not currently using melamine. But he then pulled out a plastic bag containing what he said was melamine powder and said he could dye it any colour to match the right feed stock.???? It makes me wonder why multi-national, resource-rich, pet food companies haven???? ?t been testing imported ingredients ????? for years ????? before adding it to their allegedly nutritious pet food brands. The recent pet food recall simply shows the wide scale, international, damage that can be visited upon unsuspecting citizens, and their family friends, at the hands of conglomerates.?? This particular ???˜mistake????? was so bad, and so many pets have died, that governments are involved.?? In my view, current news is nothing compared to the millions of pets who have slowly faded away over the years on toxic ???˜foods????? that bring diseases of malnutrition in their wake. This, to me, says it all.?? Vets make an estimated 20% of practice income from selling pet food, and veterinary education, with regards to pet nutrition, has predominantly been delivered by the pet food manufacturer which offers the most money to their respective veterinary teaching establishments.?? (2) Your dog or cat is worth no more in law than a piece of furniture, and legislation does not protect them from corporate greed.?? Get wise, and do what granny used to do.?? Stop buying industrial waste for your pets, and feed real food. It???? ?s simple to feed a biologically appropriate diet to your dogs: raw meaty bones in the morning (such as chicken wings, oxtail or lamb neck), and raw meat and steamed vegetables in the evening.?? Add vitamin C and flax oil ????? and watch your vet bills fall. Catherine O???? ?Driscoll is author of What Vets Don???? ?t Tell You About Vaccines and Shock to the System (available from www.dogwise.com), founder of Canine Health Concern, and a columnist for Dogs Today.?? She lectures on canine healthcare around the world, and has just returned to Scotland from BC. I feel empowered about teaching you the alternate options. Claim my Pet Food Report by going to www.theonlinevet.com. What is this comment that this is not toxic to humans? I have not seen one study about the effects of slow long term poisoning of melamine and a human. Do we think we are so special…believe me if your dog is effected be consuming melamine….so are you….you are an animal too! There are not tests available…please produce them before such a flippant comment is made. Here is the deal …do you see the N in the above formula….this will cause a spike of this nitorgen to the immune system and an automatic antigen response is required by the human immune system. Look at any animal and or Bovine study reagrding improper food with a high nitrogen content…all the animals are sick. This is a huge problem for the world due to global warming and weather pattern changes now occurring. We were not poisoned by mother nature we are being poisoned by the Chinese……. the doctors are laughing all the way to the bank as all your friends are diagnosed with auto immune diseases like diabetes, cancer, lupus etc….should I go on? Humans are dumb animals! This is so horrible about the dog food recall. We as consumers have to protect our pets. Pet food and conventional medicine need to be scruntized by the consumer to prevent risks to our pet’s health. This is what prompted me to use natural remedies for my dog. Profits seem more important than our pets health so we need to be proactive in their protection.